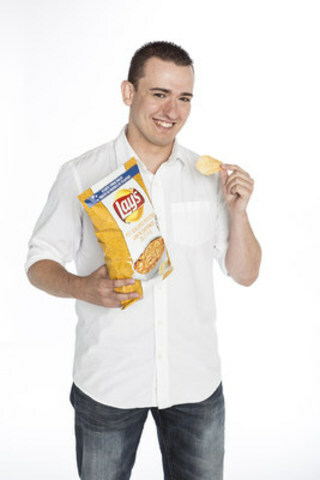 MISSISSAUGA, ON, Nov. 17, 2015 /CNW/ - Four delicious potato chip flavours, inspired by the Tastes of Canada, took the chip aisle by storm this summer hoping to be named the next great Lay's potato chip flavour. After almost two months of winning over the taste buds (and votes!) of Canadians, P.E.I. 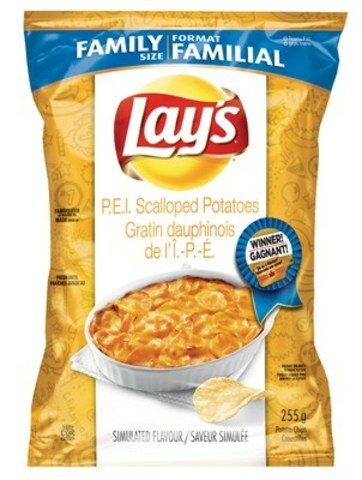 Scalloped Potatoes on Lay's Original chips has been selected as this year's flavourite. It will be available again in stores across Canada next week. Jordan Cairns was inspired by Atlantic Canada's reputation for potato cultivation to create his P.E.I. Scalloped Potatoes flavour. One of Jordan's fondest memories of growing up was when he sat down to big family dinners on Friday nights and holidays. His favourite side dish at these meals was always the freshly baked, rich and cheesy scalloped potatoes. In addition to chip aisle fame, Jordan will receive $50,000 plus one per cent of his flavour's future sales. "I'm excited to be named this year's winner," says Jordan. "It's incredible to think that a flavour inspired by a childhood memory will join the Lay's lineup in stores across Canada." Earlier this year, the Lay's brand asked Canadians to submit their ideas for the next great potato chip flavour inspired by a region in Canada. In less than two months, the contest received almost 950,000 submissions from fans across the country. In August, the Lay's brand revealed the four finalist flavours and Canadians were invited to select the winner by trying all four and voting for the yummiest from August 11 to September 30. "Canadians are certainly passionate about great tasting potato chips," says Susan Irving, Senior Director Marketing, Core Brands, PepsiCo Foods Canada. "We're happy to welcome Jordan to the Canada family – congratulations on being named our 2015 winner with your yummy Lay's P.E.I. Scalloped Potatoes flavour." When asked what he plans on doing with his winnings, Jordan replied, "I'm going to plan an epic trip – first across Canada, much of which, I haven't seen; then, the world. I'd try to be responsible and save a little too!" The Lay's Do Us a Flavour contest has been held in numerous countries around the world and has generated an incredible response with millions of flavour submissions. Since 2013, the Canadian contest has received more than 2.7 million flavour ideas from fans across the country. From the UK to India, Australia to South Africa and most recently the US, the Do Us a Flavour campaign has resulted in a wide spectrum of chip flavour ideas created by consumers including Pulled Pork (UK), Hamburguesa (Argentina), Mastana Mango (India), Walkie Talkie Chicken (South Africa) and Southern Biscuits and Gravy on Lay's Original (US). At the heart of PepsiCo is Performance with Purpose – our goal to deliver top-tier financial performance while creating sustainable growth and shareholder value. In practice, Performance with Purpose means providing a wide range of foods and beverages from treats to healthy eats; finding innovative ways to minimize our impact on the environment and reduce our operating costs; providing a safe and inclusive workplace for our employees globally; and respecting, supporting and investing in the local communities where we operate. For more information, visit PepsiCo.com.